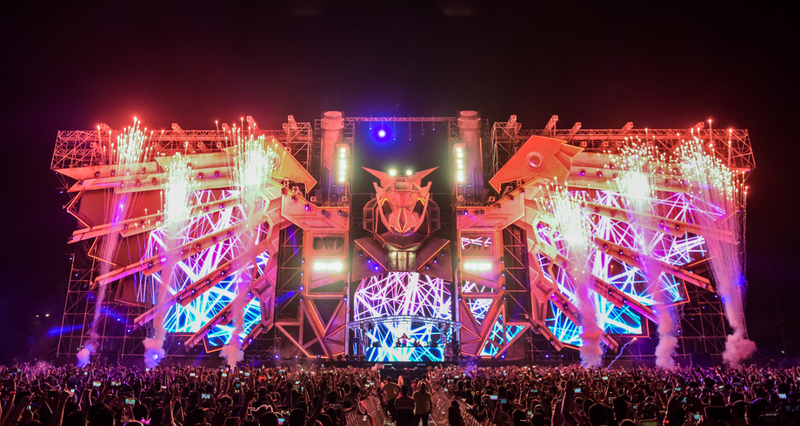 Set to be held at the colossal grounds of Garuda Wisnu Kencana (GWK) Cultural Park Bali, expect a massive celebration of dance music featuring the festival’s signature world-class production and an eclectic lineup of globally renowned acts. Be part of the most eXtraordinary edition of DWP on 7, 8 & 9 December 2018 that will be remembered for decades to come. 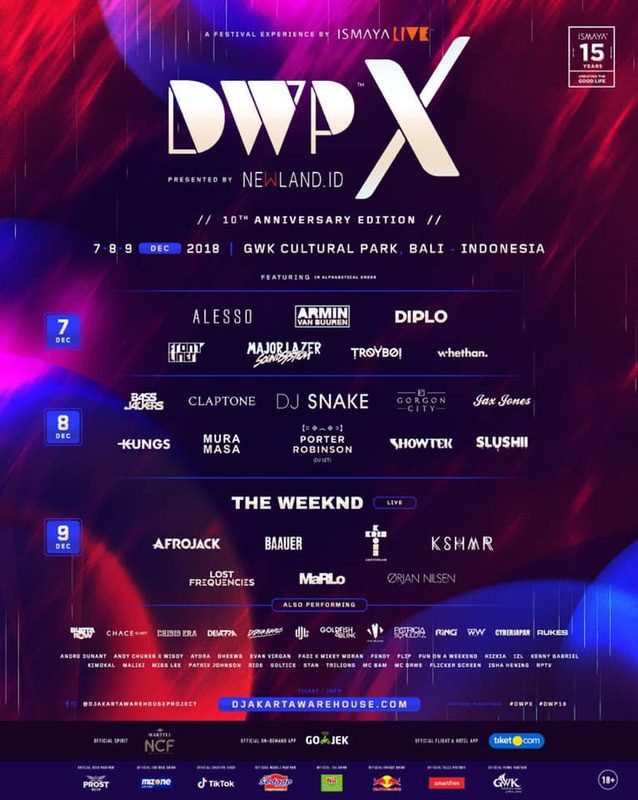 GA 3 DAY PASS – Includes GA admission to 3 day(s) of DWP X.
VIP 3 DAY PASS – Includes VIP admission to 3 day(s) of DWP X. – Priority line at the e-voucher exchange venue and to enter the event. – Access to VIP bar. – Access to VIP toilet. – Access to VIP Viewing Area. – Access to VIP lounge.